I don't know about you, but I have been loving this weather lately. It's bright and sunny almost every day, it's been getting warmer out…I can't emphasis how much I love spring. The increasingly beautiful weather inspires me to start dreaming up day trips to take in the summer, DIY projects I want to do and recipes I want to make. After all, the best part about the warmer weather is just enjoying the simplicity and beauty of it. 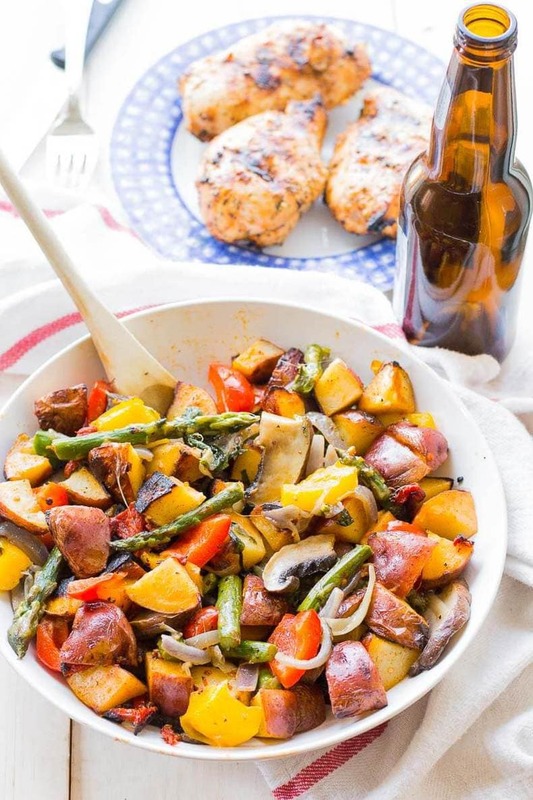 Speaking of simplicity, I'm bringing you back to the basics with one of my favourite family recipes – well, we call it more a mix and match than a recipe – Spiced Vegetable & Potato BBQ Packs. Once BBQ season arrives, the grill somehow manages to solve all of our dinner and overflowing fridge problems. Got a veggie you've gotta use up? Throw it on the grill. We'll figure out the meat later. If only life could always be this simple…? I am still a newbie when it comes to mastering the grill, but I'm getting better at it the more I use it. In Toronto, the rooftop BBQ in my condo building wasn't exactly accessible so I didn't do too much grilling even in the summer. Having a BBQ right outside at my parents' place is giving me much needed practice and it really just reminds you of what summer is all about.☀? I like to use fresh herbs as much as possible in my cooking – it helps you to use less artificial seasonings and even less salt. 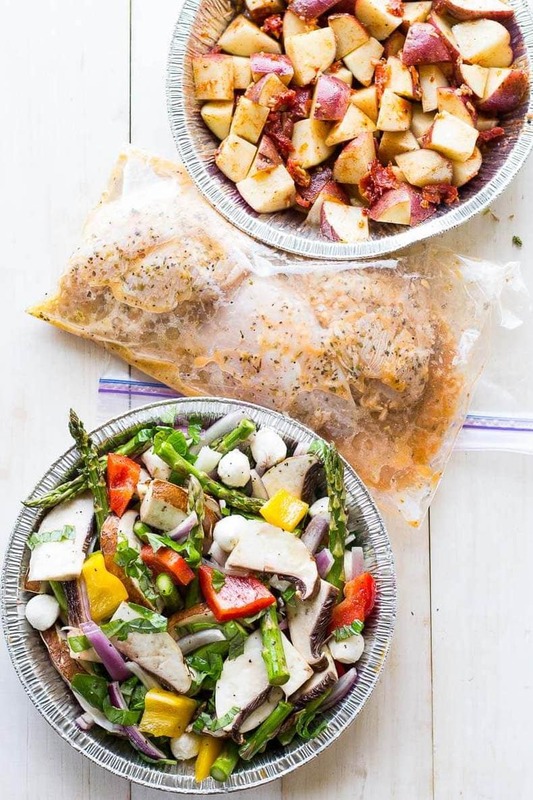 This recipe is about as simple as it gets: coat in olive oil, herbs and spices, toss and throw the foil packs on the grill!? Speaking of foil packs, I get mine from the dollar store and rewash them if possible. 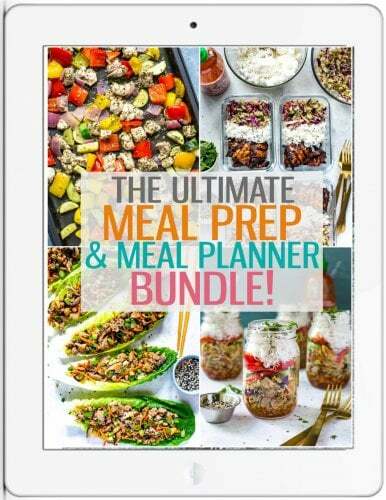 They're quite handy to keep on hand for tossing together whatever veggies and meat you have lying around. Can't you just imagine these veggies with some grilled chicken and an ice cold beer? If that doesn't say summer to you, then I don't know what will!? 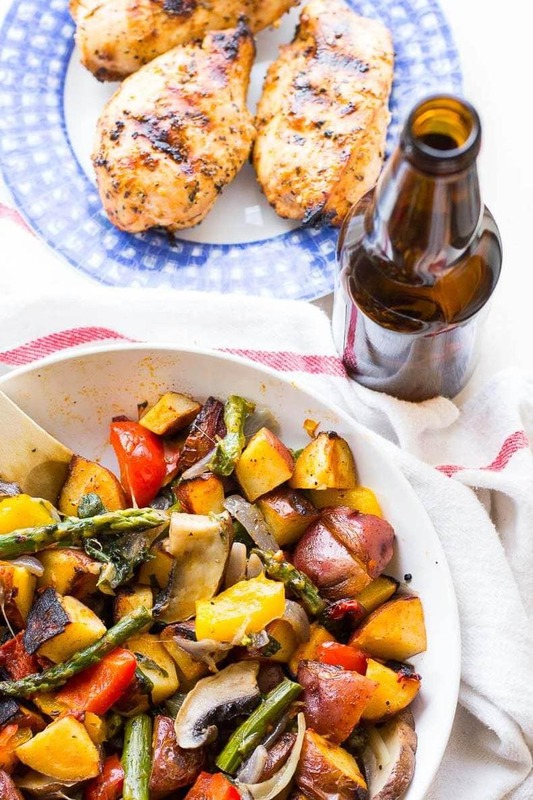 These Spiced Vegetable & Potato BBQ Packs are the perfect accompaniment to any kind of grilled meat, from poultry and steak to ribs and grilled shrimp skewers. 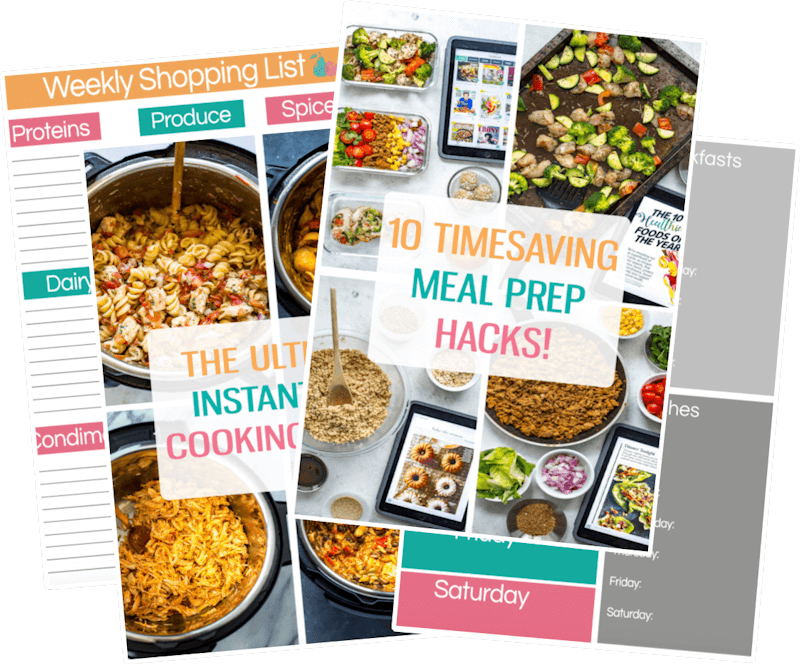 Really, the options are endless and they are such a versatile, healthy and hearty side that doesn't require a lot of hands on time. 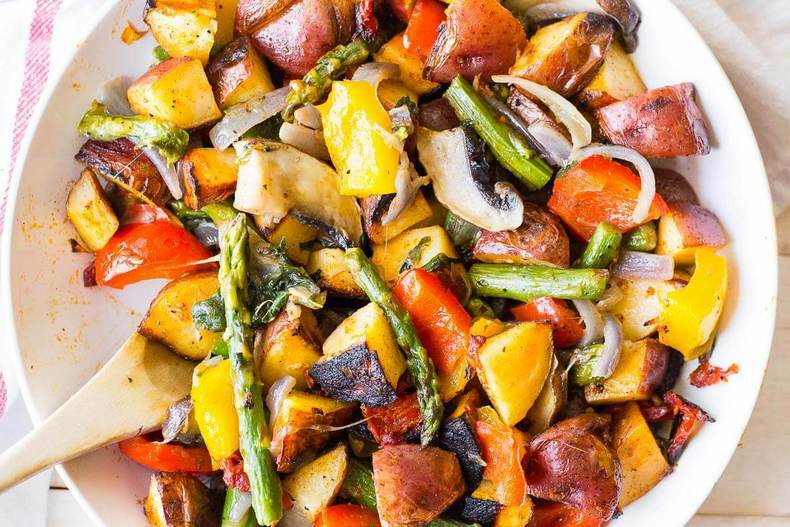 Chop everything up and toss them in olive oil, herbs and spices, then toss 'em on the grill. Done!? 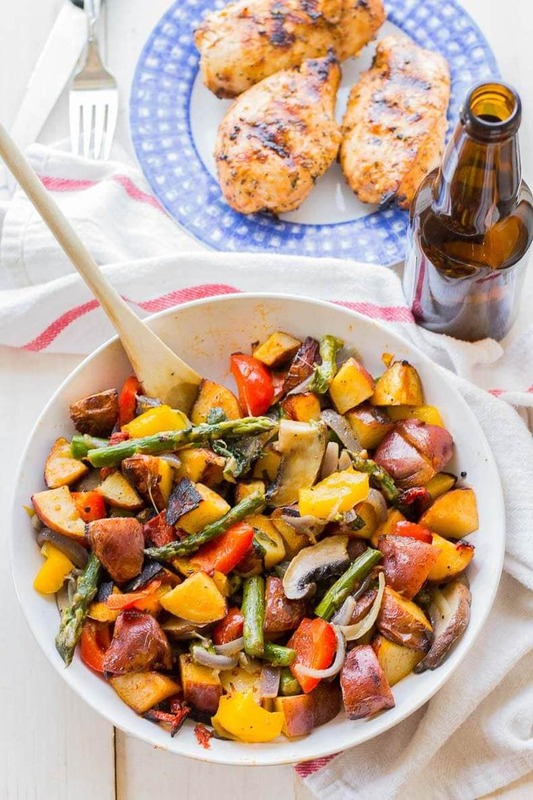 Will you be trying these Spiced Vegetable & Potato BBQ Packs? If you try any of my recipes be sure to let me know on Instagram, Twitter or Facebook – I’d love to hear from you!? 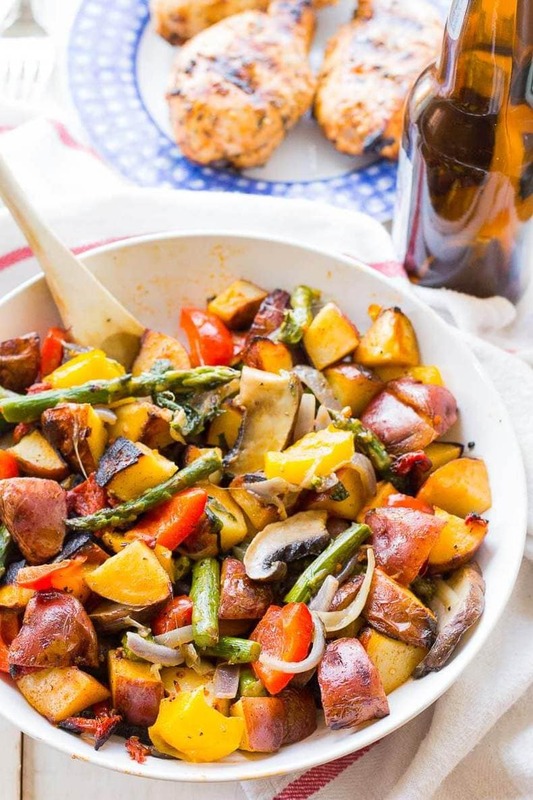 These Spiced Vegetable & Potato BBQ Packs are the perfect grilled summer side dish and require very little hands-on time. Throw 'em on the grill and forget about them! Preheat grill to med-high heat. 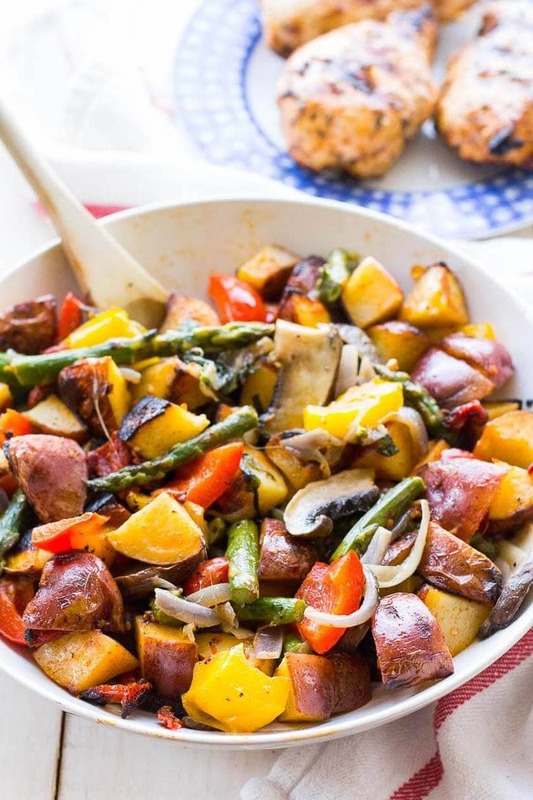 Toss veggies and potatoes in separate foil packs. Put potatoes on the grill and cook for 30 minutes. About 20 minutes into the cook time, add the veggies to the grill, cooking for 10 minutes and flipping halfway through. Take both packs and dump into a large bowl, then toss all together. Serve as a side dishwith barbecued chicken, steak, grilled shrimp skewers and more! Could I bake these? If so, what temperature and time would you suggest? Hi Caitlin! Yes you could definitely bake these – I would suggest 400 F for 20-25 minutes! Make sure you cut the potatoes up very small and it should work!